Sometimes, "box top" baking can't be beat. And so it is for German Chocolate Cake -- I haven't found a better recipe than that printed on the box of German's Sweet Chocolate. 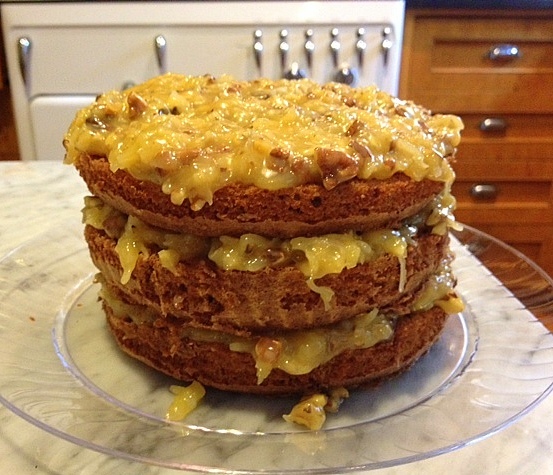 I only make this cake when I'm going to see my friend Mary, and it's within a few days of her birthday, as she is quite fond of this cake. Here's Mary now, on her actual birthday, in her fab new apartment (paint samples on the wall), looking like a slice of cake has never crossed her lips, even though she's no stranger to home-baked treats. German chocolate cake is a bit time consuming -- one must separate the eggs, but since I've discovered a revolutionary way to do it (click here), this step will be fun instead of daunting. 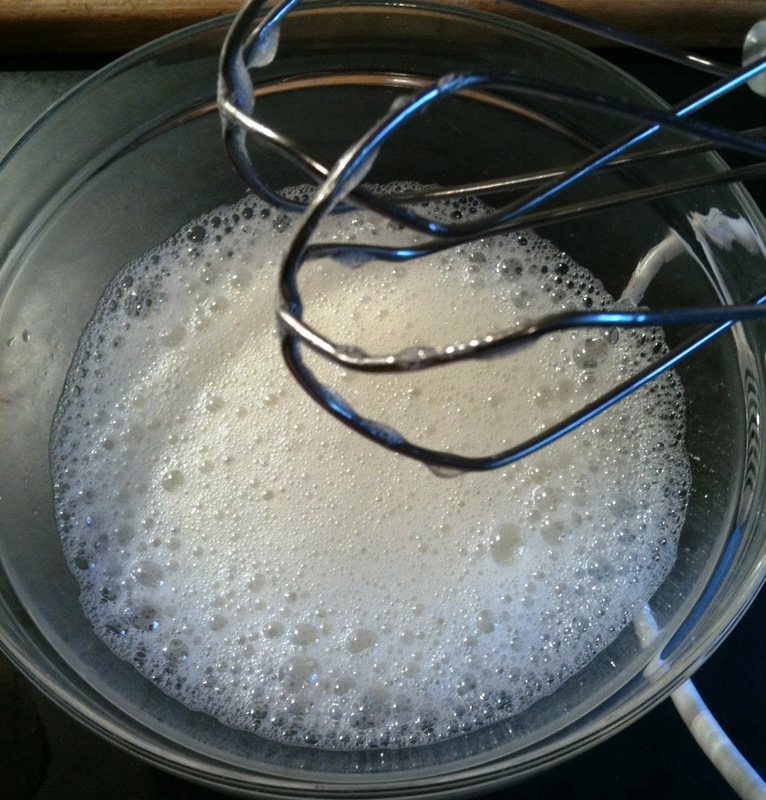 The egg whites will look foamy after a few minutes of beating. At this point, I always add some cream of tartar, available at supermarket spice displays -- not cheap, but it will last forever. 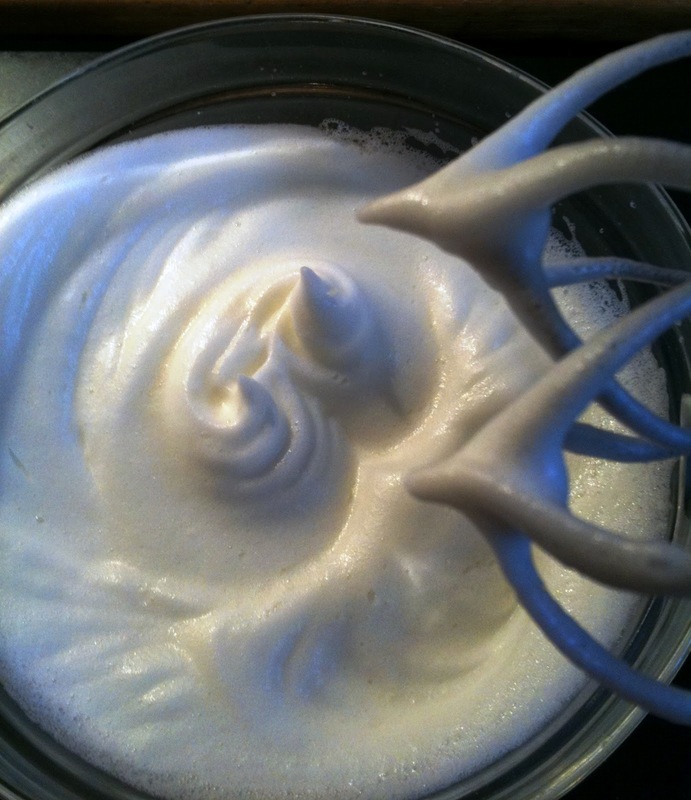 The cream of tartar prevents one (me) from overbeating the egg whites, which makes them dry and unusable. Fold the whites gently into the cake batter that you've prepared. The whites will lighten the cake. The naked layers, below, awaiting adornment. 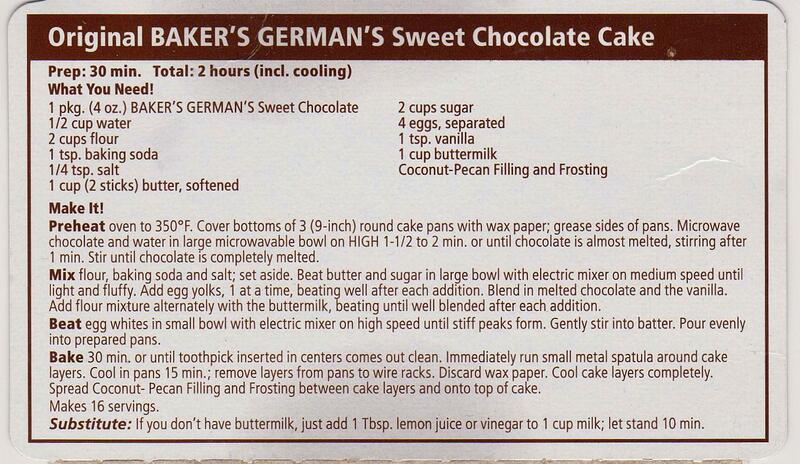 German chocolate cake will never win a beauty contest -- it's more of a home-y (and homely) cake, which is a good thing. No pressure on the cook and the focus is on the flavor. The frosting really makes this cake. 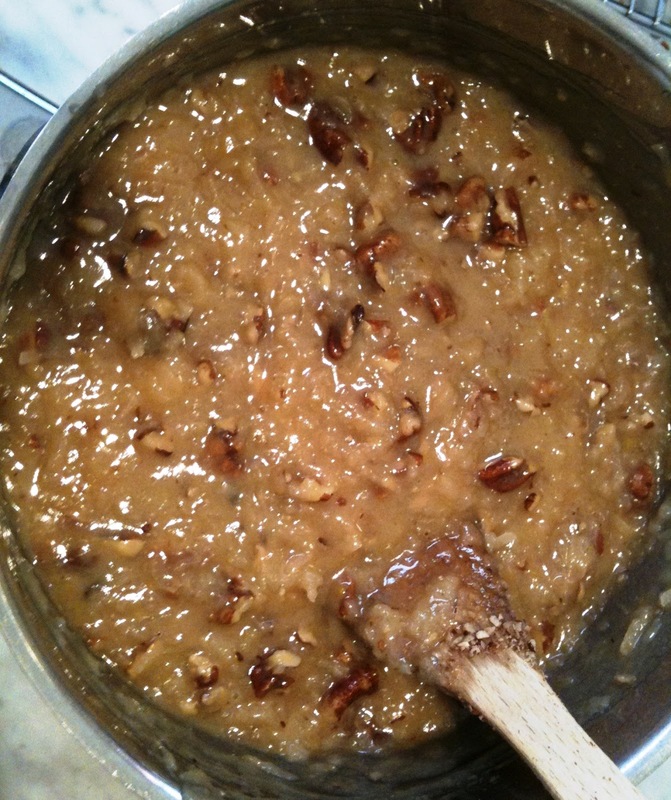 It is a cooked confection with pecans and coconut, very sweet and quite addicting. 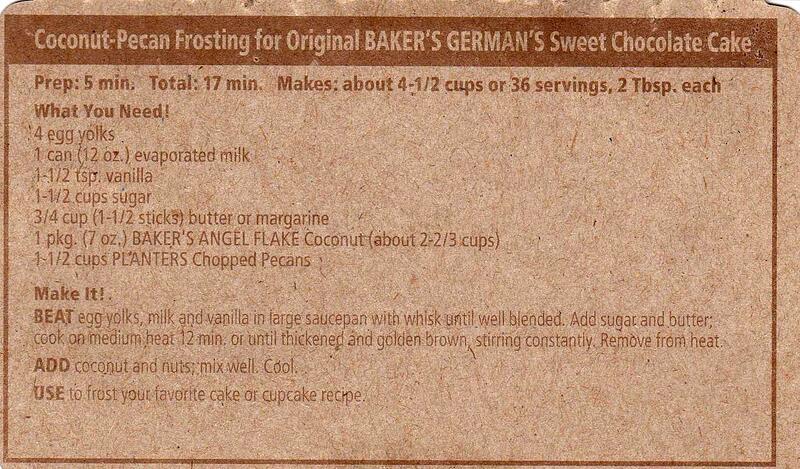 It does require the cook to commit 12 minutes stirring the pot while the frosting cooks. No texting allowed. Talking on the phone or listening to music is. The "box top" recipes, below. One reason I think these types of recipes are good: The company that makes the food wants our repeat business, so if they invest in a really great recipe, chances are we will. 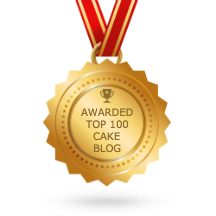 Looks like one rich cake, m'dear! Hope Mary's a B I G eater, too. I don't like eating German Chocolate Cakes, but they're absolutely one of my favorite cakes to look at, and that first picture is a winner. Happy birthday to Mary! !